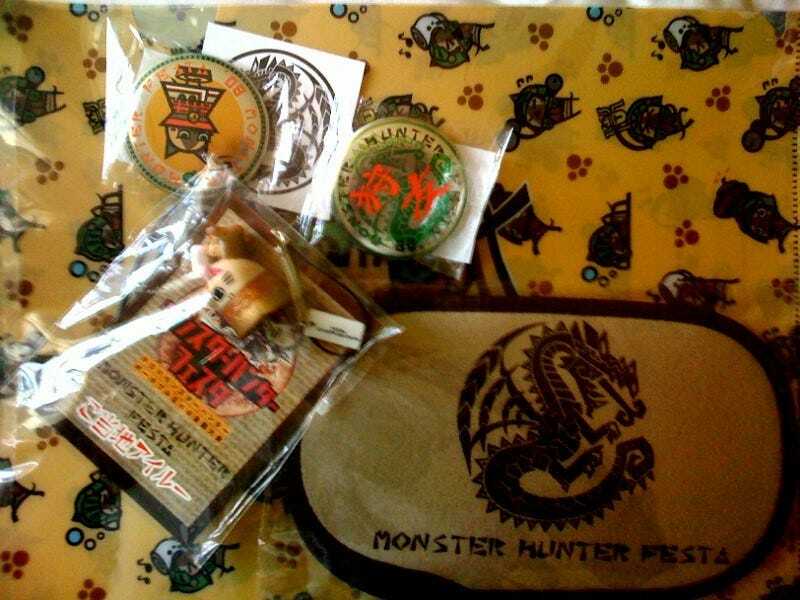 What Monster Hunter event would be complete without Monster Hunter schwag? At last week's Captivate 09 event, Capcom handed out sealed packs of Monster Hunter Freedom Unite freebies that included a little Playstation Portable case, a figure, two buttons and a sticker. Pretty cool. What's cooler? The two Monster Hunter 5th Anniversary beer coasters found at the bar the night before? Way cooler. The PR folks on hand at the giveaway admonished all attendees not to sell them on eBay because they would know where they came from. So go look right now and see how much they're up to. We'll be giving ours away during the annual Child's Play fundraiser.